The Clarinet Concerto in A major, K. 622 is a work for clarinet and orchestra. It was written by Wolfgang Amadeus Mozart in 1791 for the clarinet expert Anton Stadler. 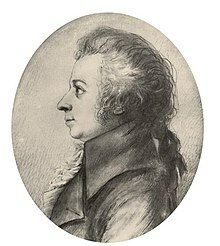 Stadler first performed the concerto in Prague on 16 October 1791. Mozart probably never heard this performance. Woodstra, Chris, et al. 2005. All Music Guide to Classical Music. All Media Guide LLC. p. 895. ISBN 0-87930-865-6.